A small sign for sure, this Ex-Lax sign has mounting holes on the top and bottom edges. The sign is blue, red, light blue, and yellow. 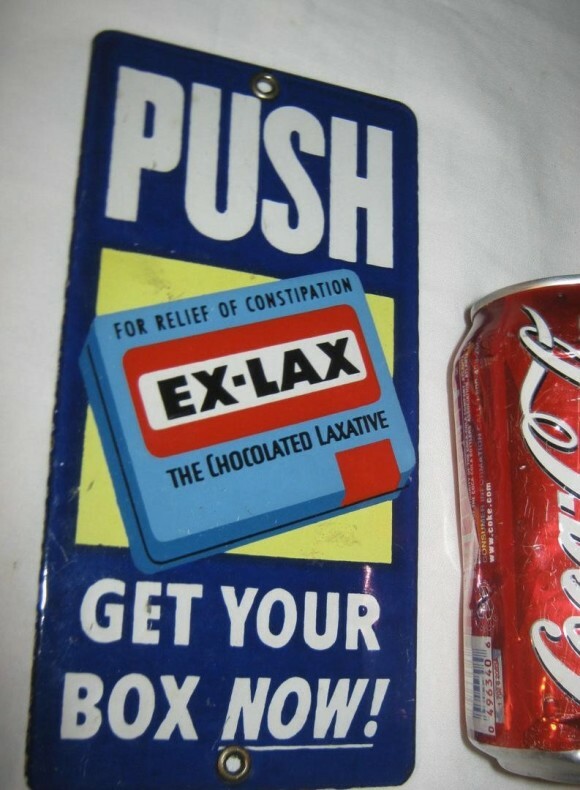 The text reads “Push Get Your Box Now, Ex-Lax.” I find it humorous that they made a door push sign for a laxative company.